Ms. J Productions is now casting for our upcoming web series. This series was originally performed as a stage play and the director has decided to broaden our horizons and launch it on the web! We are in need of actors of all ages and sizes, as well as extras. Also needed are singers and/or background singers. Rehearsals and production will take place in Charlotte. There is no pay but food will be provided on shoot days and credit will be given to you for resume/reel. Auditions will be held November 3rd in Charlotte. 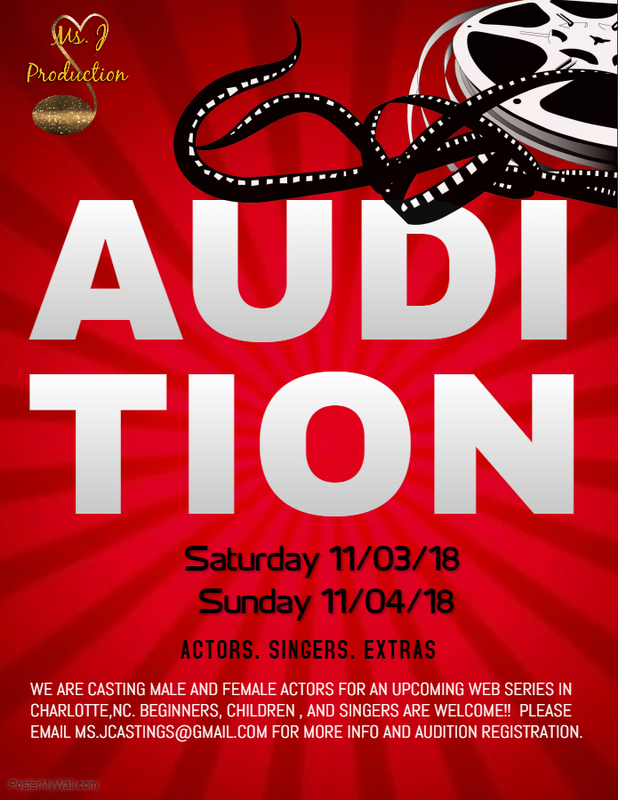 Please respond with a headshot, contact information, and which role you would like to be audition for to Ms.JCastings@gmail.com. Upon receiving your email I will respond with how to register for your audition time slot. Thank you again and I look forward to working with you on this amazing production!